Assos' fuguSpeer_s7 Sock features a windproof and water-resistant panel that wraps around the foot covering the toes, heel, and achilles. 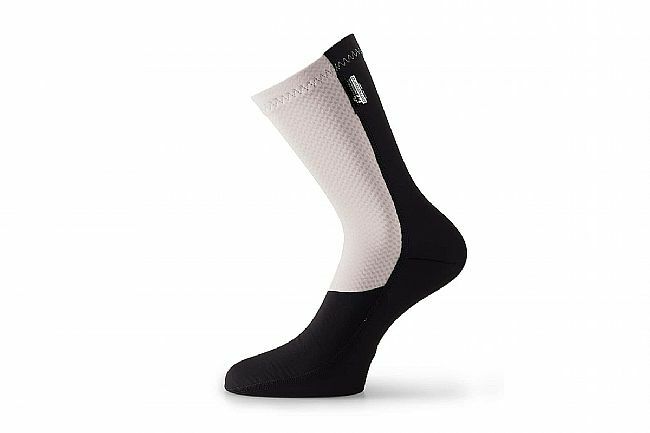 These high-performance cycling socks are from the same Stratagon fabric employed in Assos' jackets, providing an additional line of defense against windchill. The rest of the sock is composed of thermal yet breathable RXQ fabric with a brushed internal surface and crisscross structure.